Why Is Michael D Higgins On A Guinness Ad? 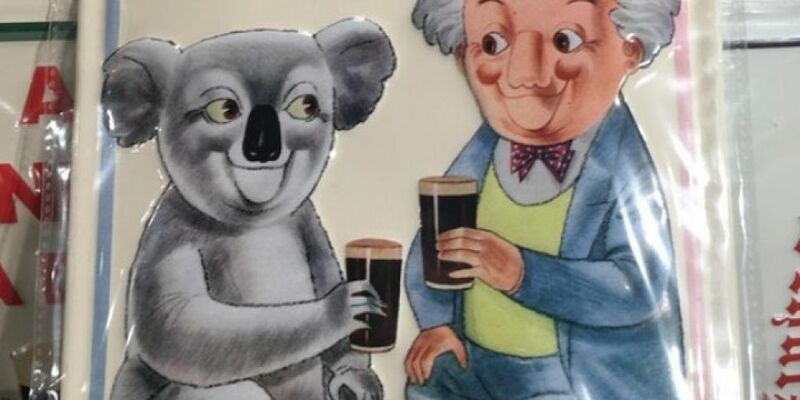 A Guinness advert in Poland seemingly shows our President sharing a pint ... with a koala. The sign of a man and a koala enjoying a pint of the black stuff was spotted in Krakow in Poland over the weekend. Reddit user, FadaPage, spotted the sign and noticed the man on it looked just like our very own Michael D Higgins. Ah Sure Lookit, WHAT THE HELL IS IT?? ?